2018 candidate for Adelaide City Council. Do you agree that the identification and protection of local heritage places is best done by local councils rather than DPTI (Department of Planning, Transport and Infrastructure)? Depending on the type of heritage, I can see why there would be a role for both, but open to being persuaded. This would also depend on a huge range of factors, for example whether DPTI was the authorising agency or whether Ministerial discretion was required, and what internal democratic processes were in play. 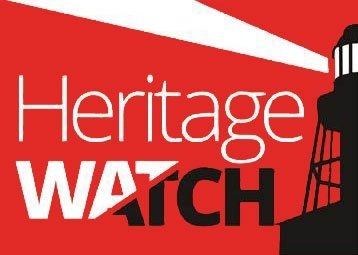 In your opinion, has the current system of local heritage protection served your community well? Should councils reject proposals to list local places of historic merit simply because an owner objects? No single person should have a veto right, but, it depends on the type of heritage and what is specifically being proposed to be listed. I believe more transparency around this would be good. Should neighbours of local heritage listed buildings have a right of appeal on development applications that propose demolition? I don't believe that a neighbour should have any more arbitrary rights than anyone else. Being a neighbour does not make a person an expert; similarly a person living 100m away may also have an interest. Should buildings listed as Contributory Items in your council area receive better protection? If current protection is inadequate, then yes. Do you agree that places proposed for listing by your council as Local Heritage or Contributory Items should be subject to review by DPTI? Or would reviews be more appropriately conducted by an independent source of expert advice? It would be nice to assume that DPTI had access to independent experts. So, assuming this question implies a dichotomy, then reviews should always be conducted independently by experts. Would you like to see your council work more closely with the National Trust of SA in protecting heritage, for example, by signing up as one of the Trust's Civic Partners? What are your personal suggestions for improving the way your council handles policy and planning? More transparency around why buildings are listed or proposed to be listed. Additionally, moving beyond 'protection' to 'regeneration'. Should councils actively encourage individuals to nominate places for consideration as local heritage? Yes, and also educate on why places would be listed in the first place.